Welcome to the first in a series of blogs about the surprising gifts of later life. Like most of us raised in our youth-oriented and age-fearing culture, my view of aging was pretty sketchy. I was blessed with wonderful grandparents as a child, and my mother became even more remarkable as she aged. But a series of events made me aware that although their being old hadn’t been a problem for me, my own impending oldness was. Knowing I was not alone in my dread, at age 54 when someone referred to me as a crone, I unexpectedly found myself looking for good news about growing old. 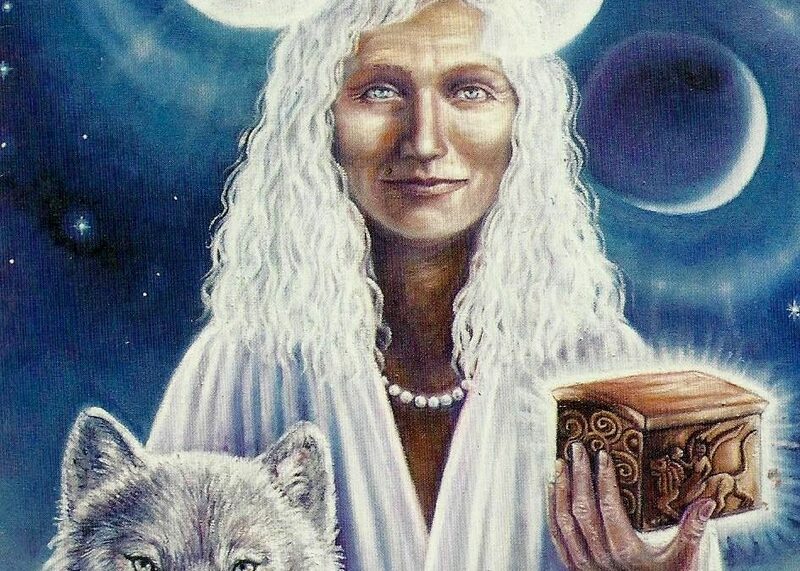 All I really knew about the crone was that she was old and that she was the devourer aspect of the ancient triple goddess – not very promising in terms of good news. 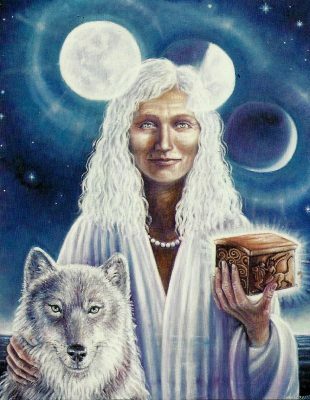 But since that was all I had to go on, I began reading myths from around the world and was surprised and delighted by the old women I discovered there. Some were devourers, but they were not senselessly or solely destructive. Kali and Asase-Yaa (Old Woman Earth), for example, are still worshipped as mothers of both life and death in India and parts of west Africa. And other grandmother goddesses were not destroyers at all. The Beautiful Old Woman in Red Garments, as she was called, taught the Chinese the arts of cooking, herbology, and medicine. And the African goddess Mawu co-created the world and is also known as the Old Woman of the West who brings the cooling western winds. Most surprising, in both Celtic and Aztec mythology, the goddess of sexuality was an old woman: Sheila na Gig and Tlazolteotl. Turning next to folktales – stories of ordinary people, not gods and goddesses – I discovered a multitude of audacious, courageous, contented, compassionate, ingenious, patient, and wise old characters. These stories and myths were revealing some exciting possibilities for aging, and it became important to share what I was finding. The tipping point that led to my writing Winter’s Graces was the discovery that a growing body of recent research in gerontology, neuroscience, human development, and other fields, was confirming that these same wonderful qualities apparent in the stories do tend to ripen with age. For example, Ruth Richards, Gene Cohen, and others’ research into late life creativity confirms the elder’s remarkable capacity for finding ingenious and effective solutions to complex and important problems. The older characters’ apparent contentment, even in trying circumstances, reflects what gerontologists call the emotional mastery of late life, the mellowing of the aging brain, and the increasing levels of happiness among older adults, as compared to younger ones. And the simple lives of these characters corresponds to the late-life trend described by Erik Erikson and others to pare down one’s life, to relinquish non-essentials, and to devote oneself to what holds the most value and meaning – whether that entails pursuing a long-deferred dream, being a compassionate, non-violent advocate for those suffering injustice, or completing important unfinished business with significant others and coming to terms with the life one has lived. It has taken over fifteen years of growing older myself, of reading and research, of observing and listening to elders, of writing and rewriting – as well as the help of many student assistants, librarians, colleagues, friends, and my older granddaughters – to finish Winter’s Graces: The Surprising Gifts of Later Life. In these blogs, like the book, I’ll pass on some good news about growing old, with the hope that it will help replace the dread of aging with a more heartening (and accurate) view of later life. May more and more of us come to value our age and step into our elder shoes, for the sake of the human family that so desperately needs the steady, ingenious, courageous, compassionate wisdom of its grandmothers and grandfathers.